Why Did Honda Put a Vacuum in the Odyssey Instead of a Diesel Engine? Suffice to say, I don’t usually sit back, watch the press releases roll over the wire and shovel out posts. 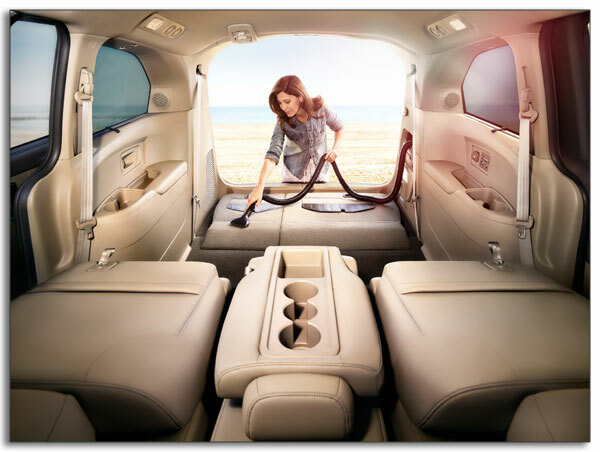 But when I saw that Honda was showing an integrated vacuum cleaner in the new 2014 Odyssey at a New York Auto Show media preview, I got a bit steamed. Not to suggest that they should have added a steamer as well (who wants to arrive at their destination covered in crumbs and wrinkles), but it all seems a bit supliferous, considering the shape we’re in (lay off the out of shape jokes, kids). It’s just hard to understand why Honda continues to withhold their excellent clean diesel engines from America, knowing that they could provide a thirty percent improvement in fuel economy.